"Getting listed as one of the top three entries for this year was a huge surprise to me that gave me a lot more confidence in myself." Radio Frequency (RF) engineering and communications are an important part of the Electronics sector in the UK, however the decline in numbers of young people taking an interest in radio communications has created a specific skills shortage. 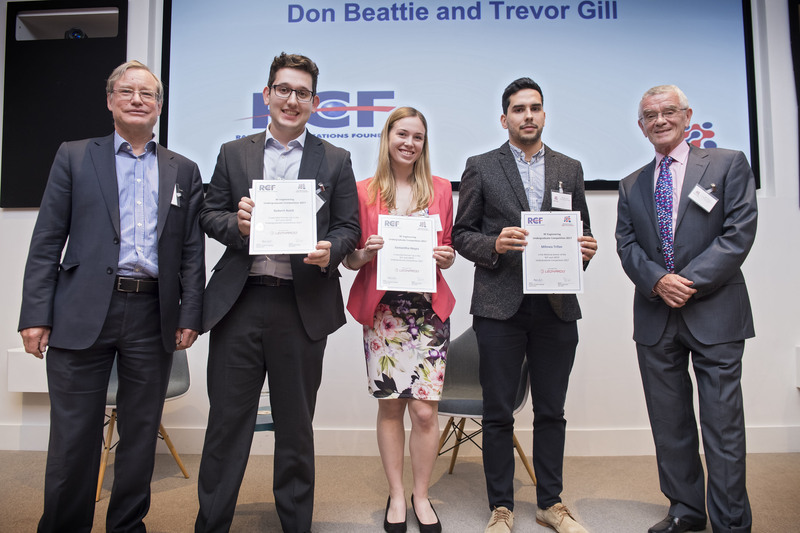 The UKESF and the Radio Communications Foundation (RCF) jointly run an annual competition for students at UKESF partner universities who are focusing on RF engineering and communications in their final year. Universities then submit three entries to the national judging panel (via the UKESF) by mid-May, with winners being notified by the end of the month. The award ceremony for 2019 is planned for 26th June and will take place during the Cambridge Wireless International Conference. The overall winner will receive £1,000, with two runners-up receiving £500 each. Winners will be expected to help promote RF Engineering and Communications. 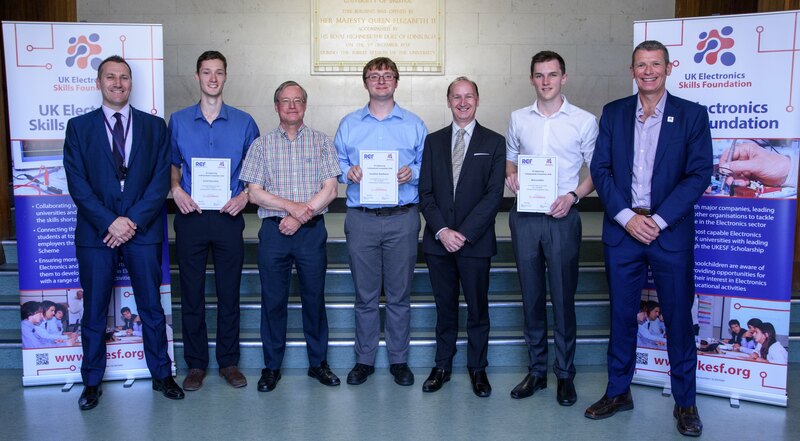 The 2018 winner was Jonathan Rawlinson (Imperial College London), with runners-up Max Landles (Heriot-Watt University) and Scott Dearnaley (Lancaster University). Read about the finalists and award ceremony for the 2018 competition here. The winner of the 2017 prize was Mihnea Trifan (University of Sheffield), with Samantha Heyes (Loughborough University) and Rob Astill (University of Bath) named as runners-up. The prizes were awarded at the UKESF Celebration Event on 3rd July 2017.